I was born on July 19, 1921 in New York City and have always resided and worked there except for 3 1/2 years when I was a graduate student at the University of Illinois. Perhaps the earliest memories I have are of being a stubborn, determined child. Through the years my mother has told me that it was fortunate that I chose to do acceptable things, for if I had chosen otherwise no one could have deflected me from my path. My mother, née Clara Zipper, came to America from Germany at the age of four. My father, Simon Sussman, was born on the Lower East Side of New York, the Melting Pot for Eastern European immigrants. Neither had the advantage of a high school education but there was never a doubt that their two children would make it through college. I was an early reader, reading even before kindergarten, and since we did not have books in my home, my older brother, Alexander, was responsible for our trip every week to the Public Library to exchange books already read for new ones to be read. By seventh grade I was committed to mathematics. A great chemistry teacher at Walton High School, Mr. Mondzak, excited my interest in chemistry, but when I went to Hunter, the college for women in New York City’s college system (now the City University of New York), my interest was diverted to physics especially by Professors Herbert N. Otis and Duane Roller. In the late ’30’s when I was in college, physics, and in particular nuclear physics, was the most exciting field in the world. 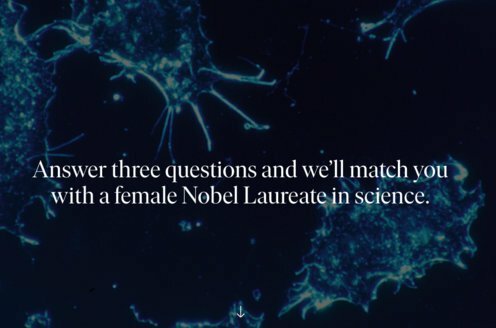 It seemed as if every major experiment brought a Nobel Prize. Eve Curie had just published the biography of her mother, Madame Marie Curie, which should be a must on the reading list of every young aspiring female scientist. As a Junior at college, I was hanging from the rafters in Room 301 of Pupin Laboratories (a physics lecture room at Columbia University) when Enrico Fermi gave a colloquium in January 1939 on the newly discovered nuclear fission – which has resulted not only in the terror and threat of nuclear warfare but also in the ready availability of radioisotopes for medical investigation and in hosts of other peaceful applications. I was excited about achieving a career in physics. My family, being more practical, thought the most desirable position for me would be as an elementary school teacher. Furthermore, it seemed most unlikely that good graduate schools would accept and offer financial support for a woman in physics. However my physics professors encouraged me and I persisted. As I entered the last half of my senior year at Hunter in September 1940 I was offered what seemed like a good opportunity. Since I could type, another of my physics professors, Dr. Jerrold Zacharias, now at Massachusetts Institute of Technology, obtained a part time position for me as a secretary to Dr. Rudolf Schoenheimer, a leading biochemist at Columbia University’s College of Physicians and Surgeons (P&S). This position was supposed to provide an entrée for me into graduate courses, via the backdoor, but I had to agree to take stenography. On my graduation from Hunter in January 1941, I went to business school. Fortunately I did not stay there too long. In mid-February I received an offer of a teaching assistantship in physics at the University of Illinois, the most prestigious of the schools to which I had applied. It was an achievement beyond belief. I tore up my stenography books, stayed on as secretary until June and during the summer took two tuition-free physics courses under government auspices at New York University. In September I went to Champaign-Urbana, the home of the University of Illinois. At the first meeting of the Faculty of the College of Engineering I discovered I was the only woman among its 400 members. The Dean of the Faculty congratulated me on my achievement and told me I was the first woman there since 1917. It is evident that the draft of young men into the armed forces, even prior to American entry into the World War, had made possible my entrance into graduate school. On the first day of graduate school I met Aaron Yalow, who was also beginning graduate study in physics at Illinois and who in 1943 was to become my husband. The first year was not easy. From junior high school through Hunter College, I had never had boys in my classes, except for a thermodynamics course which I took at City College at night and the two summer courses at NYU. Hunter had offered a physics major for the first time in September 1940 when I was an upper senior. As a result my course work in physics had been minimal for a major – less than that of the other first year graduate students. Therefore at Illinois I sat in on two undergraduate courses without credit, took three graduate courses and was a half-time assistant teaching the freshman course in physics. Like nearly all first-year teaching assistants, I had never taught before – but unlike the others I also undertook to observe in the classroom of a young instructor with an excellent reputation so that I could learn how it should be done. Pearl Harbor on December 7, 1941 brought our country into the war. The Physics Department was becoming decimated by loss of junior and senior faculty to secret scientific work elsewhere. The campus was filled with young Army and Navy students sent to the campus by their respective Services for training. There was a heavy teaching load, graduate courses, an experimental thesis requiring long hours in the laboratory, marriage in 1943, war-time housekeeping with its shortages and rationing, and in January 1945 a Ph.D. in Nuclear Physics. My thesis director was Dr. Maurice Goldhaber, later to become Director of Brookhaven National Laboratories. Support and encouragement came from the Goldhabers. 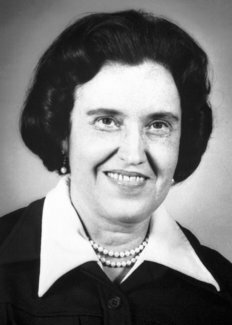 Dr. Gertrude Goldhaber, his wife, was a distinguished physicist in her own right, but with no University position because of nepotism rules. Since my research was in nuclear physics I became skilled in making and using apparatus for the measurement of radioactive substances. The war was continuing. I returned to New York without my husband in January 1945 since completion of his thesis was delayed and I accepted a position as assistant engineer at Federal Telecommunications Laboratory, a research laboratory for ITT – the only woman engineer. When the research group in which I was working left New York in 1946, I returned to Hunter College to teach physics, not to women but to returning veterans in a preengineering program. My husband had come to New York in September 1945. We established our home in an apartment in Manhattan, then in a small house in the Bronx. It and a full-time teaching position at Hunter were hardly enough to occupy my time fully. By this time my husband was in Medical Physics at Montefiore Hospital in the Bronx. Through him I met Dr. Edith Quimby, a leading medical physicist at P&S. I volunteered to work in her laboratory to gain research experience in the medical applications of radioisotopes. She took me to see “The Chief”, Dr. G. Failla, Dean of American medical physicists. After talking to me for a while, he picked up the phone, dialed, and I heard him say “Bernie, if you want to set up a radioisotope service, I have someone here you must hire.” Dr. Bernard Roswit, Chief of the Radiotherapy Service at the Bronx Veterans Administration Hospital and I appeared to have no choice; Dr. Failla had spoken. I joined the Bronx VA as a part time consultant in December 1947, keeping my position at Hunter until the Spring Semester of 1950. During those years while I was teaching full-time, I equipped and developed the Radioisotope Service and started research projects together with Dr. Roswit and other physicians in the hospital in a number of clinical fields. Though we started with nothing more than a janitor’s closet and a small grant to Dr. Roswit from a veterans’ group, eight publications in different areas of clinical investigation resulted from this early work. The VA wisely made a commitment to set up Radioisotope Services in several of its hospitals around the country because of its appreciation that this was a new field in which research had to proceed pari passu with clinical application. Our hospital Radioisotope Service was one of the first supported under this plan. In January 1950 I chose to leave teaching and join the VA full time. That Spring when he was completing his residency in internal medicine at the Bronx VA, Dr. Solomon A. Berson and I met and in July he joined our Service. Thus was to begin a 22 year partnership that lasted until the day of his death, April 11, 1972. Unfortunately, he did not survive to share the Nobel Prize with me as he would have had he lived. During that period Aaron and I had two children, Benjamin and Elanna. We bought a house in Riverdale, less than a mile from the VA. With sleep-in help until our son was 9, and part-time help of decreasing time thereafter, we managed to keep the house going and took pride in our growing children: Benjamin, now 25, is a systems programmer at the CUNY Computer Center; Elanna, now 23, is a third year doctoral candidate in Educational Psychology at Stanford University. She has just married Daniel Webb and is with us on part of her honeymoon. But to return to the scientific aspects of my life, after Sol joined our Service, I soon gave up collaborative work with others and concentrated on our joint researches. Our first investigations together were in the application of radioisotopes in blood volume determination, clinical diagnosis of thyroid diseases and the kinetics of iodine metabolism. We extended these techniques to studies of the distribution of globin, which had been suggested for use as a plasma expander, and of serum proteins. It seemed obvious to apply these methods to smaller peptides, i.e., the hormones. Insulin was the hormone most readily available in a highly purified form. We soon deduced from the retarded rate of disappearance of insulin from the circulation of insulin-treated subjects that all these patients develop antibodies to the animal insulins. In studying the reaction of insulin with antibodies, we appreciated that we had developed a tool with the potential for measuring circulating insulin. It took several more years of work to transform the concept into the reality of its practical application to the measurement of plasma insulin in man. Thus the era of radioimmunoassay (RIA) can be said to have begun in 1959. RIA is now used to measure hundreds of substances of biologic interest in thousands of laboratories in our country and abroad, even in scientifically less advanced lands. It is of interest from this brief history that neither Sol nor I had the advantage of specialized post-doctoral training in investigation. We learned from and disciplined each other and were probably each other’s severest critic. I had the good fortune to learn medicine not in a formal medical school but directly from a master of physiology, anatomy and clinical medicine. This training was essential if I were to use my scientific background in areas in which I had no formal education. Sol’s leaving the laboratory in 1968 to assume the Chairmanship of the Department of Medicine at the Mount Sinai School of Medicine and his premature death 4 years later were a great loss to investigative medicine. At my request the laboratory which we shared has been designated the Solomon A. Berson Research Laboratory so that his name will continue to be on my papers as long as I publish and so that his contributions to our Service will be memoralized. At present my major collaborator is a young, talented physician, Dr. Eugene Straus, who joined me in 1972, first as a Fellow, then as Research Associate and now as Clinical Investigator. Through the years Sol and I together, and now I alone, have enjoyed the time spent with the “professional children”, the young investigators who trained in our laboratory and who are now scattered throughout the world, many of whom are now leaders in clinical and investigative medicine. In the training in my laboratory the emphasis has been not only in learning our research techniques but also our philosophy. I have never aspired to have, nor do I now want, a laboratory or a cadre of investigators-in-training which is more extensive than I can personally interact with and supervise. The laboratory since its inception has been supported solely by the Veterans Administration Medical Research Program and I acknowledge with gratitude its confidence in me and its encouragement through the years. My hospital is now affiliated with The Mount Sinai School of Medicine where I hold the title of Distinguished Service Professor. I am a member of the National Academy of Sciences. Honors which I have received include, among others: Albert Lasker Basic Medical Research Award; A. Cressy Morrison Award in Natural Sciences of the N.Y. Academy of Sciences; Scientific Achievement Award of the American Medical Association; Koch Award of the Endocrine Society; Gairdner Foundation International Award; American College of Physicians Award for distinguished contributions in science as related to medicine; Eli Lilly Award of the American Diabetes Association; First William S. Middleton Medical Research Award of the VA and five honorary doctorates. Rosalyn Yalow died on 30 May 2011.